The Dolls House Emporium is delighted to announce the winners of the 2014 Creative Competition. It has been a unique competition this year as we opened up the requirements to encompass the full range of small builds on offer and you sent in a great range of creative miniatures. In traditional reverse order, in 3rd place was Viki McDonnell, from Greenock, with her “Rowanberry Park Art Gallery & Studio”. 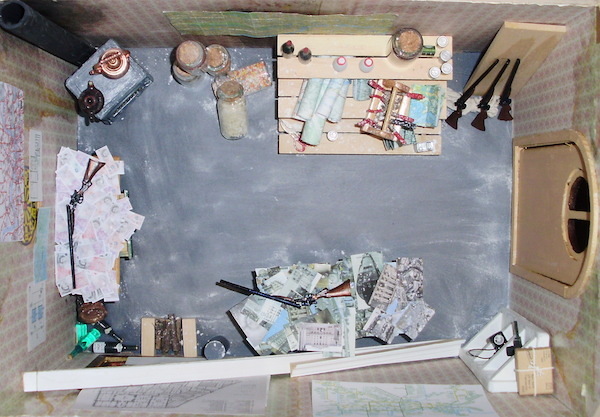 Viki used the Retreat Kit to create this pretty entry, taking inspiration from “The Shanty Man” of Shetland. 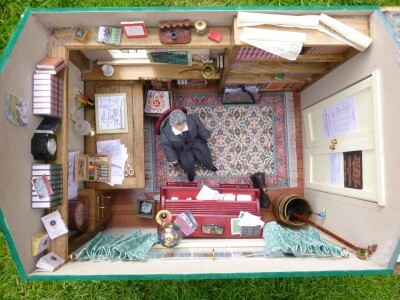 In 2nd Place is Betty Melbourne from Chesterfield, with her take on Tolkien’s writing hut. 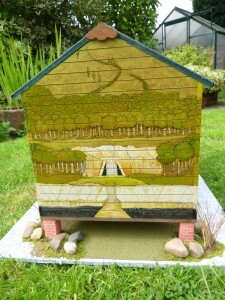 Using the Summer House, Betty took inspiration from Tolkien’s own illustrations to create a hut suitable for the great writer. 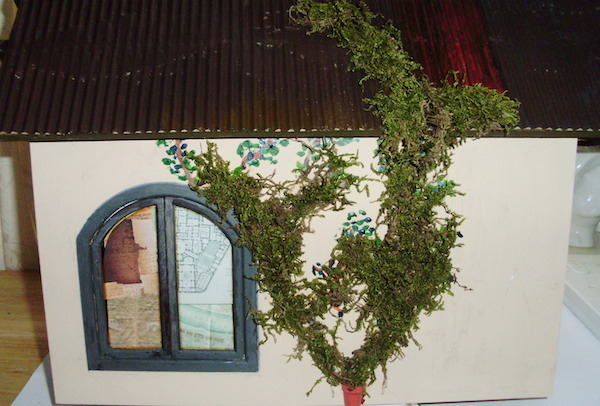 I have been a miniature/dollhouse enthusiast since I was quite young and recently my young niece has got me interested in the whole fairy garden craze and I have made a few things for her and I also started sculpting fairies out of polymer clay. 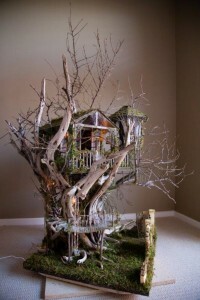 I was trying to think of ways to combine the two when I saw your competition advertised on your website in June, it was the perfect opportunity to get creative and ideas of a fairy tree house started flooding in. I originally had an idea in my mind of how it would look but it changed dramatically right from the start because of the branches I could find. I had to work around the branches rather than build the tree around my idea of how I wanted it to look. 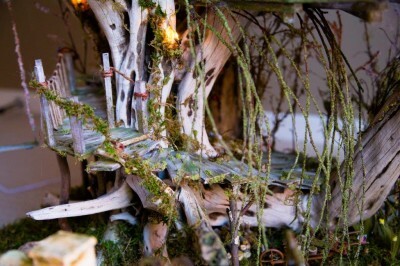 The tree house was built for Ms Mushroom Liddy (my niece, Maya named her) who is the fairy who mixes all of the fairy dust and potions for all other fairies in the land. Unfortunately I ran out of time to sculpt Mushroom Liddy so we will say that she is currently out collecting magic plants and herbs for her potions. More images of the winners will be posted on The Dolls House Emporium blog over the next few weeks. Creative Competition - The judging begins! This year's Creative Competition is now closed. There has been a varied selection of entries and the judges are eager to get started on the selection process to whittle down the entries to the top three. Every year throws us surprises and delights and having had a cursory glance we're sure this year is set to be no exception. Previous years winners have included a stunning Beach Hut from Belize, a Gingerbread House, a Vernacular Railway, a Moroccan Villa and many more! To view these and many more past entries whilst you wait for the winner to be announced, simply look for the 'creative competition' tag and you'll have them all at your finger tips. More news on the judging and winners as we get it! 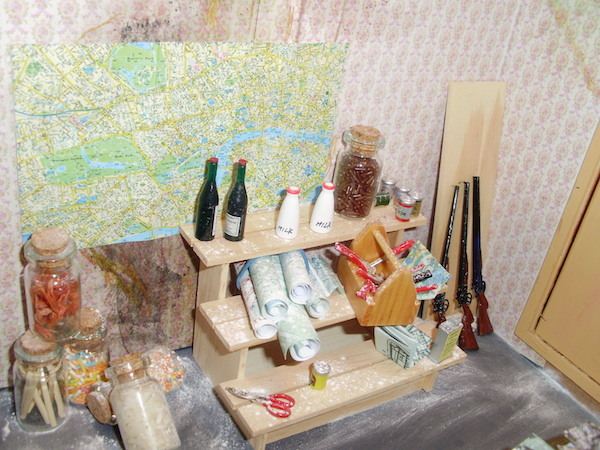 Let our dolls' house builders’ merchants feed your creativity! The Dolls House Emporium builders’ merchant department is to help you get the most from your creative side – providing the raw materials to make your dolls’ house your own. Whether you are into mini landscape gardening, or need a few planks of wood, cement, bricks or windows… it’s the place to go to fire your imagination. We have everything you’ll need to customise a kit. That’s something you’ll find priceless if you’re taking part in this year’s Creative Competition. It’s time to check the archives on our blog to draw inspiration for your effort this year. See previous entries and truly inspiring ideas, from vet practices to pubs, garages and brownie huts, the creative competition always brings out the imaginative side! That’s because we’re offering you a choice of base kit* for your entry this time, with a whole range of favourite houses to choose from. With so much choice of starting unit, the sky’s the limit and we’re expecting some amazing creativity this year – as always! Remember – the more imaginative, the better. 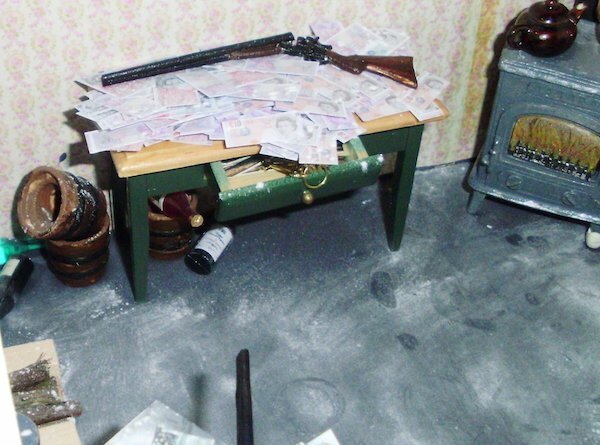 You could win £569** of dolls’ house kit. This year’s competition doesn’t close until midday 30th September 2014. There's more about this further down the page and online on the website. 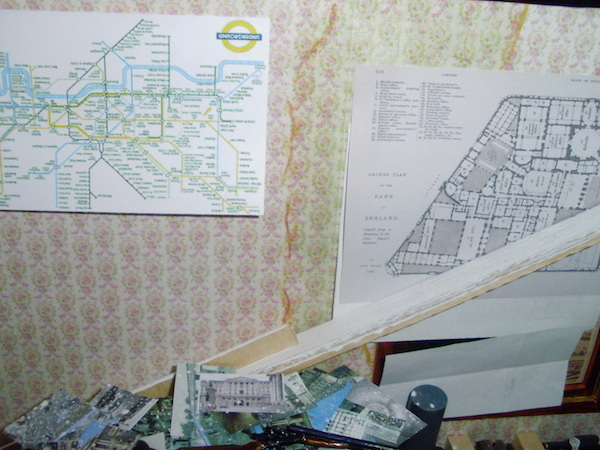 Dolls' house Creative Competition 2014 - full details! Got itchy feet now that spring has sprung? Want to get to work on a new project for 2014? We’re offering you the chance to win some fantastic Dolls House Emporium kit as we launch this year’s creative competition. It’s time to check the archives on our blog to draw inspiration for your effort this year. We’ve already seen these turned into gypsy caravans, towers, hairdressers, funeral parlours, knights' tombs and more. 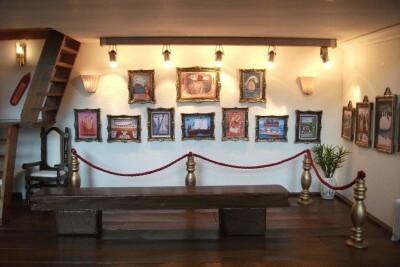 Themes have included contemporary, futuristic, mediaeval, Victorian, Georgian and from between the wars. Which excites you? This year’s competition doesn’t close until midday 30th September 2014 and all we need are your pictures of the project. Or email them direct to competitionsecretary@dollshouse.com, remember to include your name, address and contact details. *Purchases of kits must be after 1st March 2014 and entries can not have been entered into the competition before. **Or currency equivalent of the price of Grosvenor Hall Kit for overseas winners. 1 The closing date for entries is midday on 30th September 2014 and the winner will be notified by 1st November 2014. 2. Purchase of a featured kit is required to enter. 3. Entries must not have been entered into the competition before. 4. Purchases made before 1st March 2014 can not be used to enter the competition. 5. 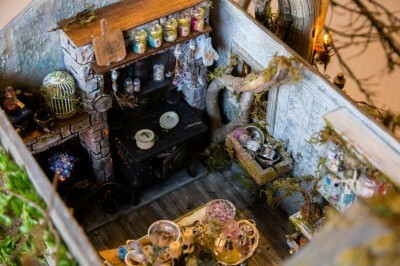 Employees of The Dolls House Emporium, those involved in the promotion and execution of the competition and their families are not eligible to enter. 6. Any entry received after noon on the closing date will be disqualified, as will any received damaged or illegible. 7. The winner will be selected and personally notified. The winner’s name will be available after the competition by writing to The Competition Secretary, The Dolls House Emporium, Hadlow House, 9 High Street, Green Street Green, Orpington, Kent BR6 6BG enclosing a stamped addressed envelope. 8. The first prize winner will receive a Dolls House Emporium dolls’ house of their choice – in kit form – up to a value of £569. 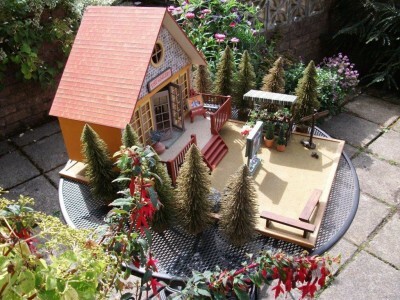 The 2nd prize winner will receive £350 worth of credit to spend at The Dolls House Emporium. 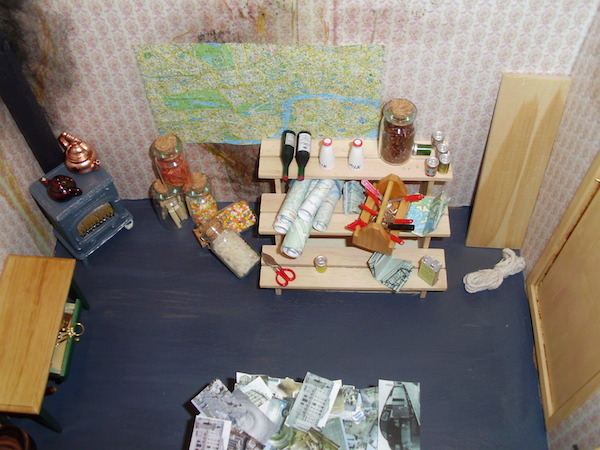 The 3rd prize winner will received £200 worth of credit to spent at The Dolls House Emporium. No cash alternative will be available. Prizes awarded to those overseas will be equivilent value. 9. The Dolls House Emporium reserves the right to feature entries on other printed matter or on our website, and to feature name and home county of the winner and photographs of their project in future promotions. 10. Entry into the draw is deemed acceptance of the rules. 11. Proof of posting cannot be accepted as proof of receipt. No responsibility can be accepted for entries which are delayed, damaged or wrongly delivered. The mystique surrounding The Great Train Robbery - no matter what you think of the crime - continues to intrigue us all. 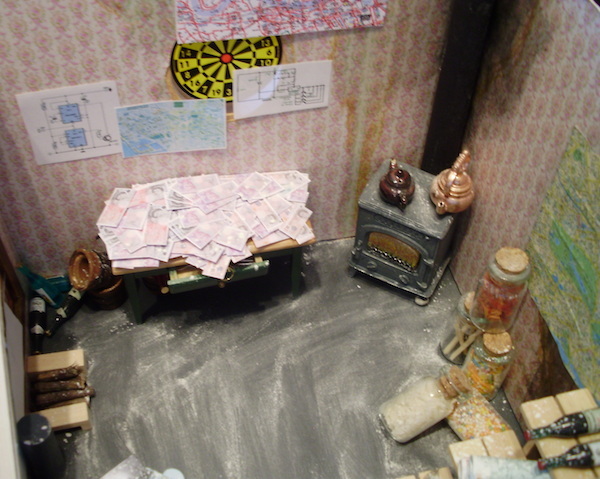 One miniature maker, David Guy, made the train robbers' hide-out in 1:12 scale for our Creative Competition this year. He used The Cabin as his basis and sent dozens of photos showing how he made the interior and exterior evoke the drama of the 1963 crime. Here is a series of images from the finished project, which we'd like to share today.